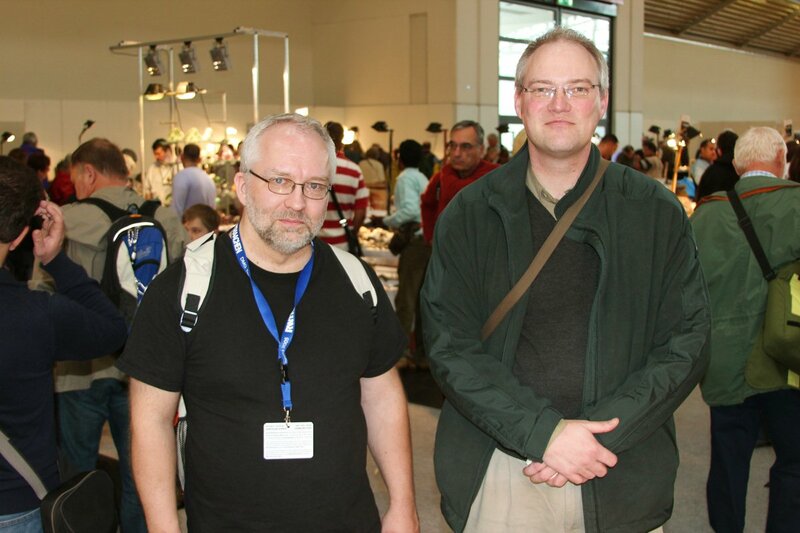 Thomas Witzke and Holger Schimmel. 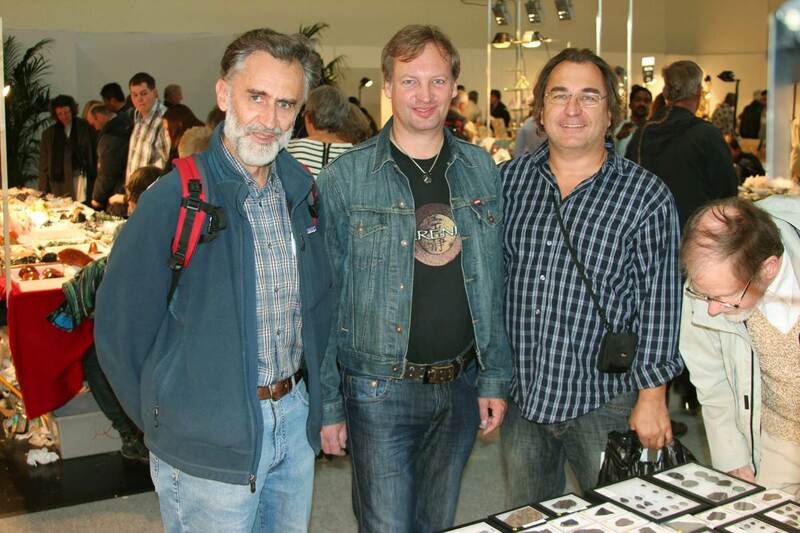 Karl Wimmer, Stefan Brandes with Klaus. 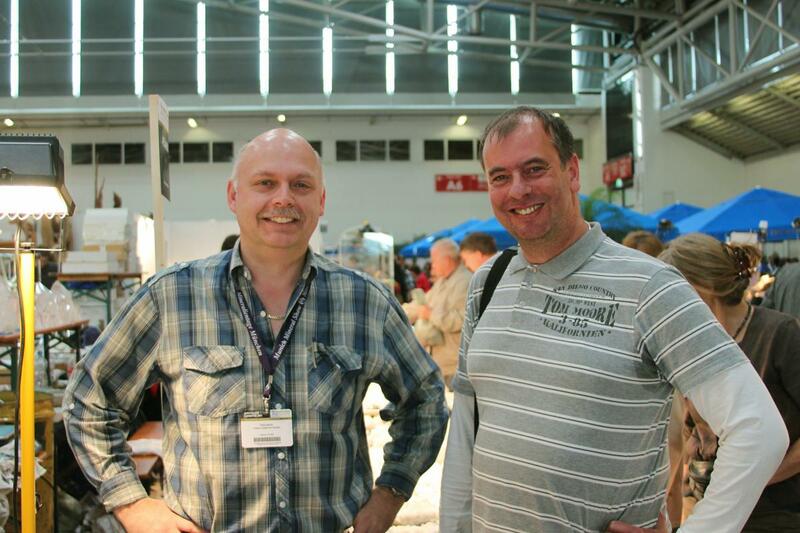 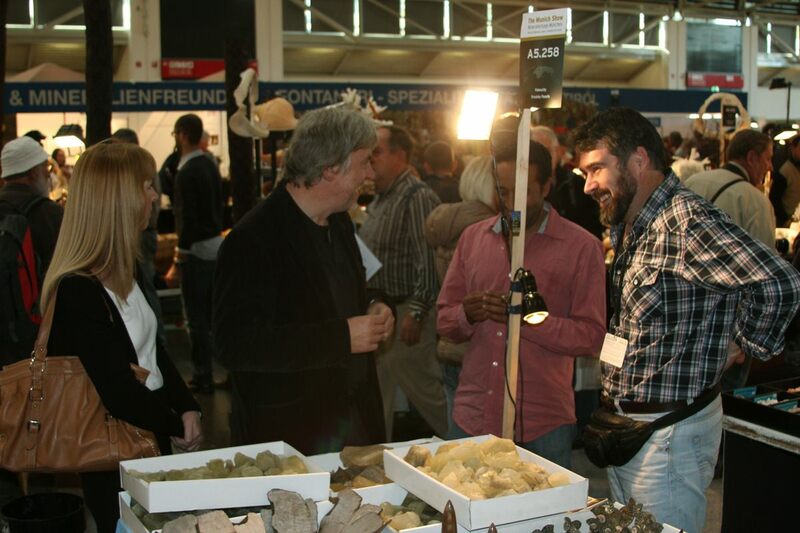 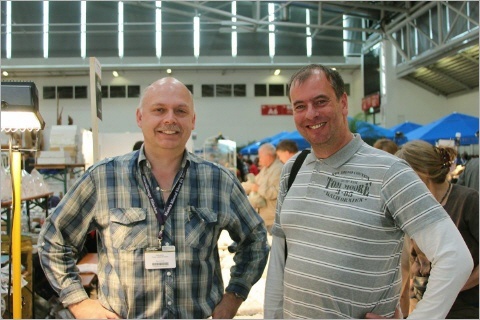 Harald Stehlik with Aziz from Vienna at the table of Serge from Cometshop. 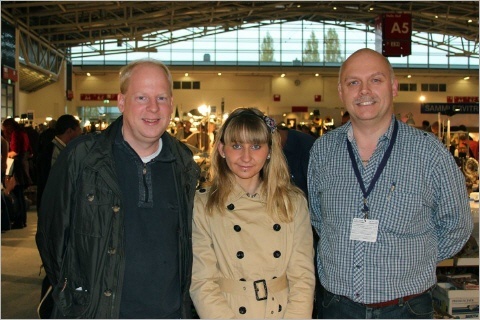 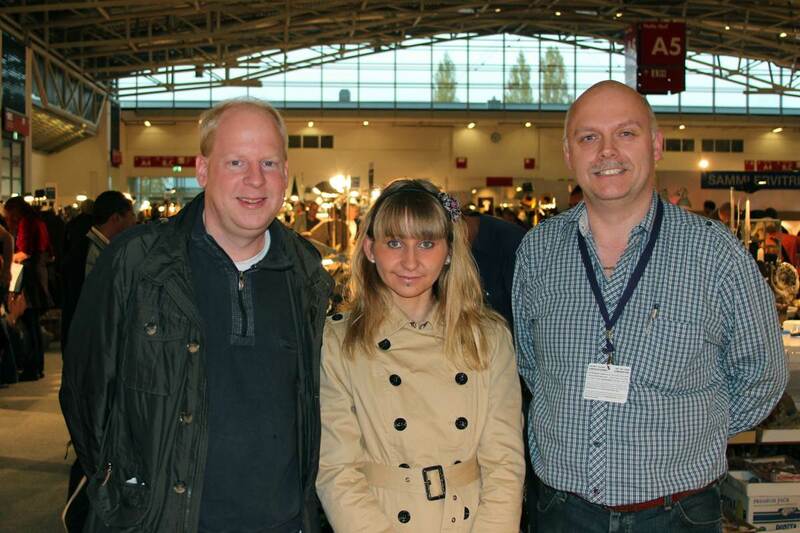 Marc Vornhusen with girlfriend and me. 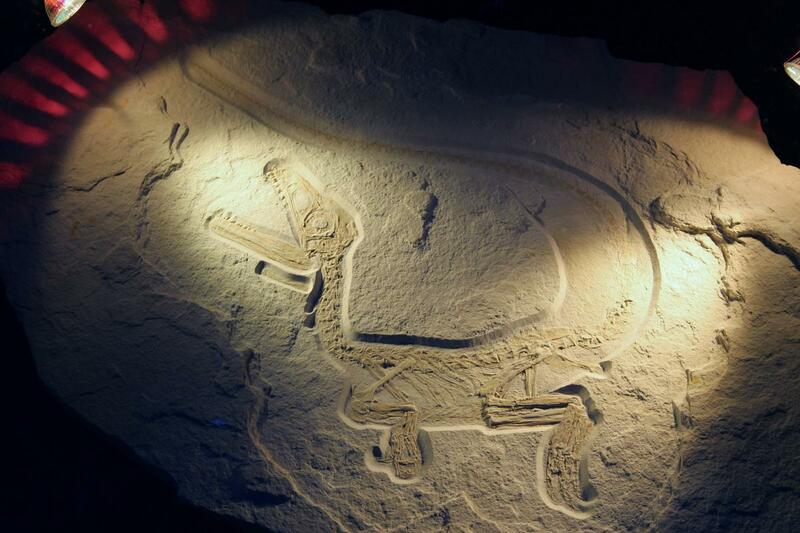 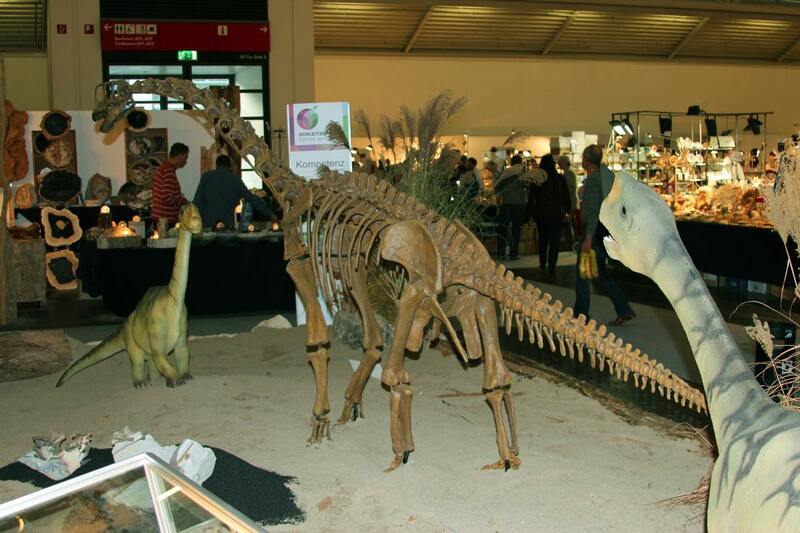 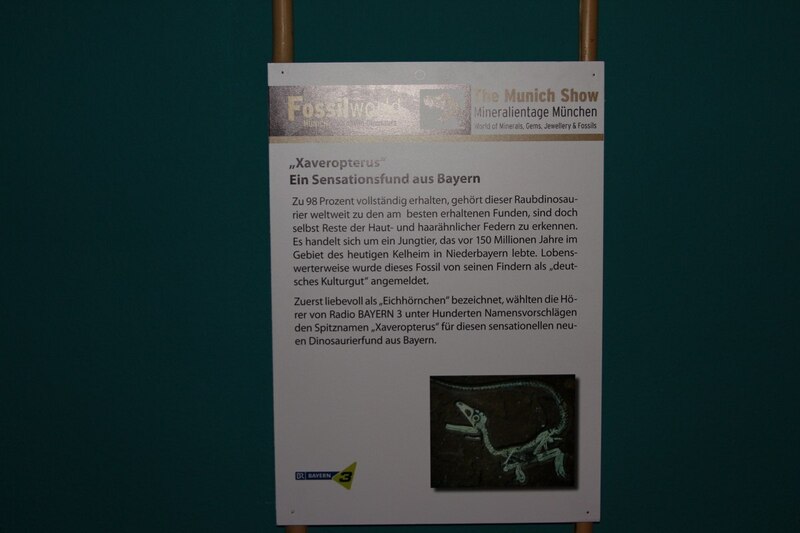 The famous new find of a 98% complete dinosaur in Germany named "Juravenator". 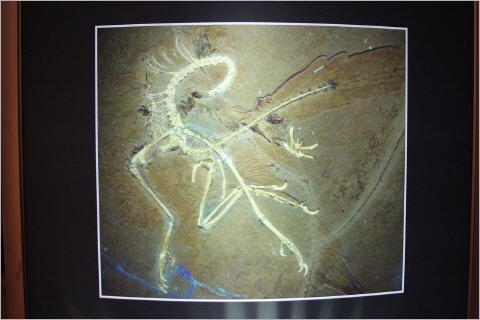 Original plate with the Juravenator. 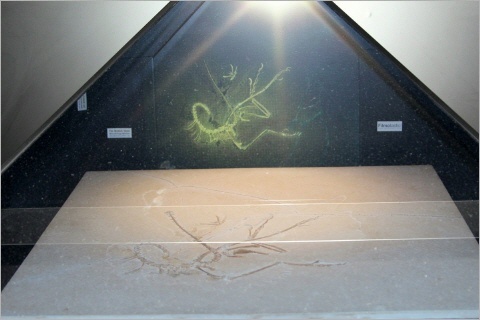 The new find of the 11th Archaeopteryx presented with a 3D show over the original plate. 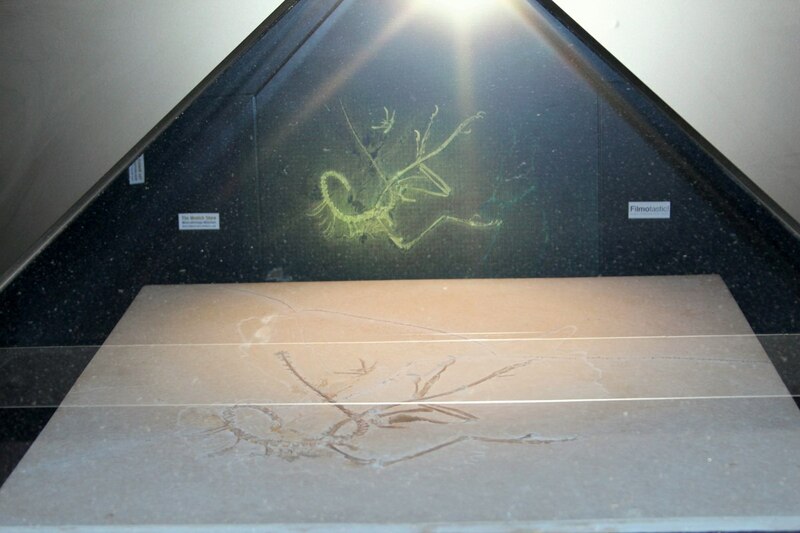 View of the Archaeopteryx from above.